Unless you've been living under a rock for the past few weeks then I'm sure you'll be aware that recently Zoella (A.K.A Zoe Sugg) released her own beauty range entitled 'Zoella Beauty'. Whilst I'm a big fan of Zoe's blog and Youtube channel I will confess that I wasn't in any hurry to rush out and buy the products. However I recently popped into Superdrug to pick up a few bits when I stumbled across the Zoella Beauty range and curiosity got the better of me and I ended up leaving the store with the Zoella Beauty 'Let's Glow Candle' and Fizz Bar. In this post I'll be reviewing the Fizz Bar. 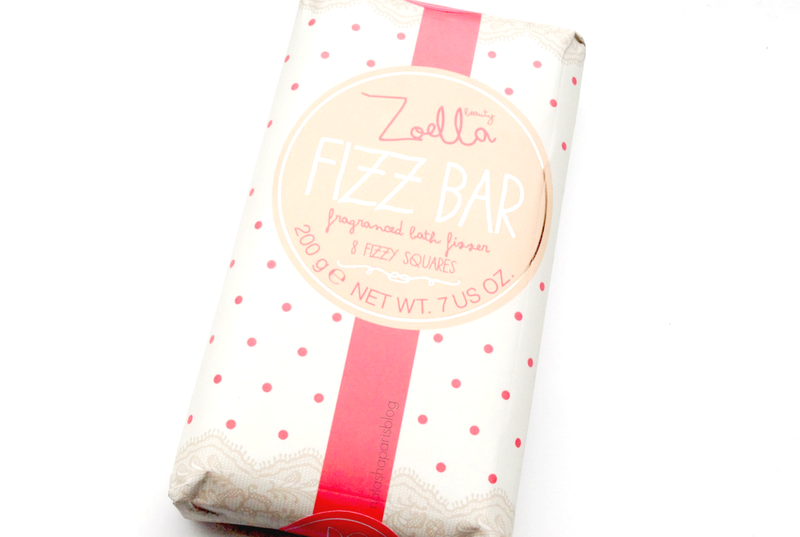 The packaging for the Zoella Fizz Bar (and in fact all of the range) is super pretty! The Fizz Bar is shaped like a chocolate bar and contains 8 fizzy squares which can be broken apart fairly easily. This is one of my favourite things about the product as it means you can use as much (or as little) as you like so nothing's wasted. I tend to use two squares per bath which I find works well. 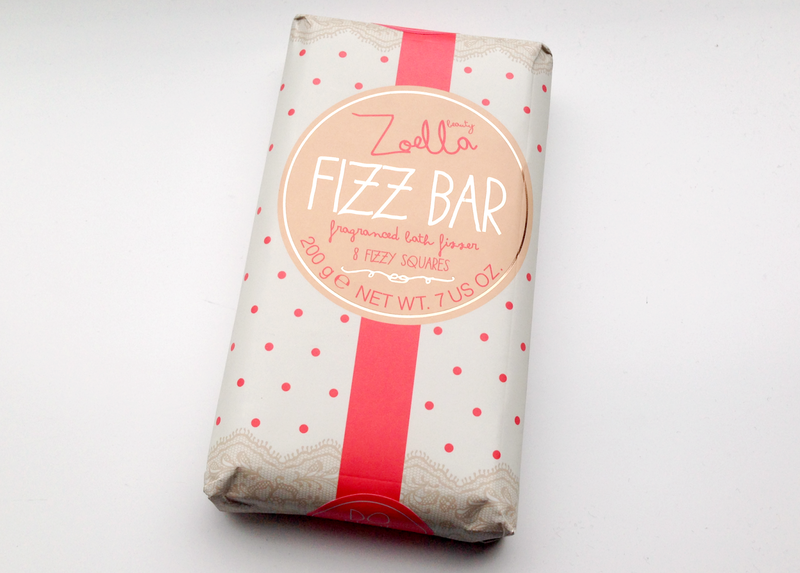 The Fizz Bar has quite a light floral fragrance with a hint of sweetness, which is lovely. When added to water the bath squares fizz away and leave the water with a lovely light floral scent and feeling almost silky. I have to admit that I was a teeny bit disappointed that the product didn't do anything spectacular when added my bath (I think LUSH has spoiled me slightly) but my skin did feel nice and soft afterwards. The Fizz Bar costs £5 and can be purchased from Superdrug or Feel Unique. I think the price of the product is very reasonable, as you could effectively have 8 baths with the one product. I think this product would make a lovely gift, as the product and packaging feel much more luxurious than the price suggests. Have you tried anything from the Zoella Beauty range? What did you think?